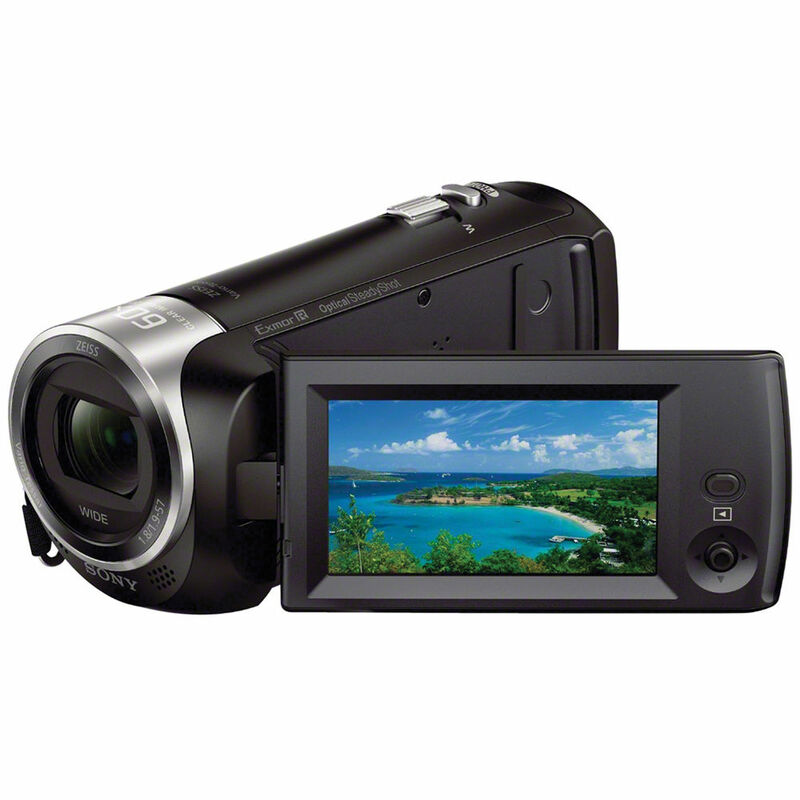 The Sony PXW-Z100 is a professional, handheld camcorder featuring 4K recording at up to 60fps, 4:2:2 10-bit in camera recording and an integrated 20x optical zoom lens. This camera makes 4K recording available to a whole new range of production environments, with the level of control that professionals demand but also the ability to operate with minimal tweaking when the situation demands. Sony’s PXW-Z100 XDCAM Camcorder designed for true 4K recording at up to 60fps. Utilising Sony’s XAVC 4:2:2 10-bit intra frame recording codec, the Z100 can record video at a bitrate of up to 600Mbps. With a frame size of 4096×2160, this camera has the capability to deliver unprecedented image quality in the Sony camcorder range, bringing professional grade recording and image quality to a compact, easily operated form factor. Featuring a G lens with 20x optical zoom and three control rings, dual XQD memory card slots, and 4K HDMI and 3G/HD-SDI interfaces. The PXW-Z100 brings 4K shooting to the hands of the single-operator. 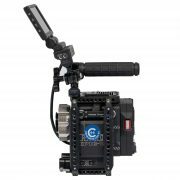 Its traditional camcorder controls and ergonomics make adding the PXW-Z100 to your existing workflow seamless. Familiar features include XLR audio, ND filters, white balance presets, and gain control settings. The PXW-Z100 makes professional-quality 4K images a reality for markets and applications where simplicity of use and rugged reliability is a priority. 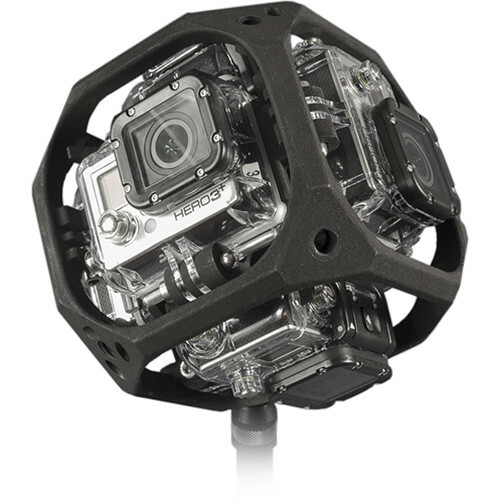 The PXW-Z100 provides high-sensitivity and good low-light performance due to the back-illuminated Exmor R CMOS sensor. With over 8.8 million pixels, the 1/2.3″ sensor captures 4K images at frame rates of 23.98p, 25p, 29.97p, 50p, and or 59.94p. The built-in, 4K optimized G lens provides a 30mm wide angle view (35mm equivalent) in 4K 4096×2160 mode or 31.5mm in QFHD 3840×2160 and Full HD 1920×1080 modes. 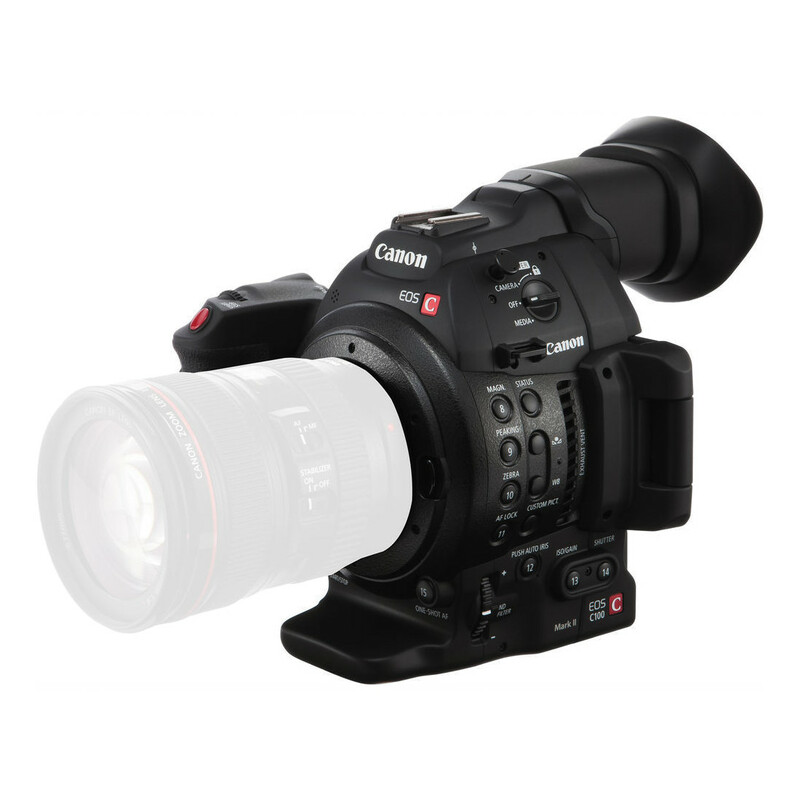 It also offers a 20x optical zoom range and high-speed servo zoom controls. When shooting in sunny conditions, the built-in Neutral Density filters are available in clear, 1/4, 1/16, and 1/64. 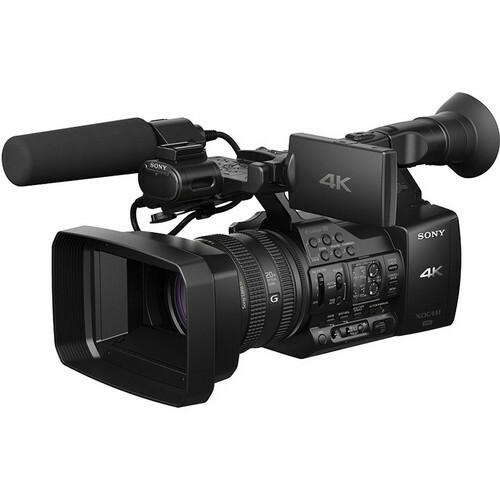 The PXW-Z100 uses the same professional-quality XAVC recording format found in Sony’s PMW-F55 CineAlta 4K camera. MPEG-4 AVC/H.264 compression is used to record Full HD (1920×1080), QFHD (3840×2016), and true 4K (4096×2160) content. Image sampling is 4:2:2 10-bit with intra frame recording at a maximum bit rate of 600 Mbps during 4K 60p recording, and 223 Mbps at Full HD 60p. Future upgrades are planned for 2014 to support XAVC LongGOP for extended recording time, AVCHD codec recording. XQD solid-state memory cards use the fast PCI Express interface to provide recording speeds up to 600 Mbps. The PXW-Z100 has two XQD slots, which can be set up in a variety of ways depending on your shooting needs. Relay recording mode will continue recording onto a second XQD card when your first card becomes full, without any break in recording. You can even replace the first card and switch back, for maximum recording sessions of 13 hours. Sony recommends their S Series XQD cards, which support transfer speeds up to 180 MB/s, for use with the PXW-Z100. The PXW-Z100 also supports Memory Stick Duo and SD/SDHC/SDXC memory cards. The HDMI interface can output 4K as 50/60p signals and, when connected to a Sony PVM-X300 4K professional monitor or a 4K-compatible Sony BRAVIA TV, the recorded 4K image can be displayed at full 4K 50/60p quality. A future firmware update is planned to upgrade the HDMI interface from 1.4a to 2.0, enabling 4K 50/60p output to a wider range of devices. Other interfaces include 3G/HD-SDI, which outputs up to Full HD 60p signals, even during 4K recording. Simultaneous 4K HDMI and 3G/HD-SDI output is not supported. Remotely control focus, zoom, aperture, and record functions using the browser on your smartphone or tablet. Simply plug the supplied Wi-Fi adapter into the camcorder’s USB port to enable the wireless control feature. Two XLR connecters support the use of professional-quality microphones. A Sony ECM-XM1 shotgun microphone comes included. Combine the built-in stereo microphone the external microphone inputs to record up to four channels of 24-bit 48kHz audio.